We’ve previously talked about how important it is to show gratitude to your customers, and today, it’s time to turn the spotlight on doing the same for your employees. Now, it’s common for companies to focus on appreciating their customers (who directly contribute to their bottom line!) as opposed to their employees, but if you ask us, this shouldn’t be the case. After all, your employees are the ones who are putting their sweat and tears into building your brand and company, and they deserve to be appreciated, too! Why is it important to show gratitude to your employees? Showing gratitude to your employees increases employee satisfaction and makes your employees happier — that much is obvious. But that’s not all showing gratitude is good for — employees say that being thanked by managers also helps them build better relationships, and increase the trust they place in their higher-ups. On top of that, a whopping 69% of employees state that they would work harder if they felt their efforts were better appreciated. The bottom line? When you show gratitude to your employees, everyone benefits! You don’t have to implement a game-changing work-from-home policy or splash out on expensive company trips in order to show gratitude to your employees — simply recognizing your employees’ hard work will do the trick. The trick here is to be specific with your recognition or praise, and to tailor your approach to your employee. For instance, “Thanks for rushing out that report last minute — I was really impressed with how detailed the financials were!” will work a lot better than “Great job on that report.” On top of that, consider whether your employee would like to be recognized in front of the entire team, or if this is someone who might prefer to be praised in a one-to-one conversation. We mentioned this point previously when talking about showing gratitude to your customers; the same point applies to appreciating your employees as well. This is fairly straightforward: say your employees are caught in a tricky situation (e.g., someone’s sick at home, or something has cropped up with their kid at school). Allowing them to take the time to rectify the situation (without being completely rigid and unyielding about your workplace policies) will help immensely. 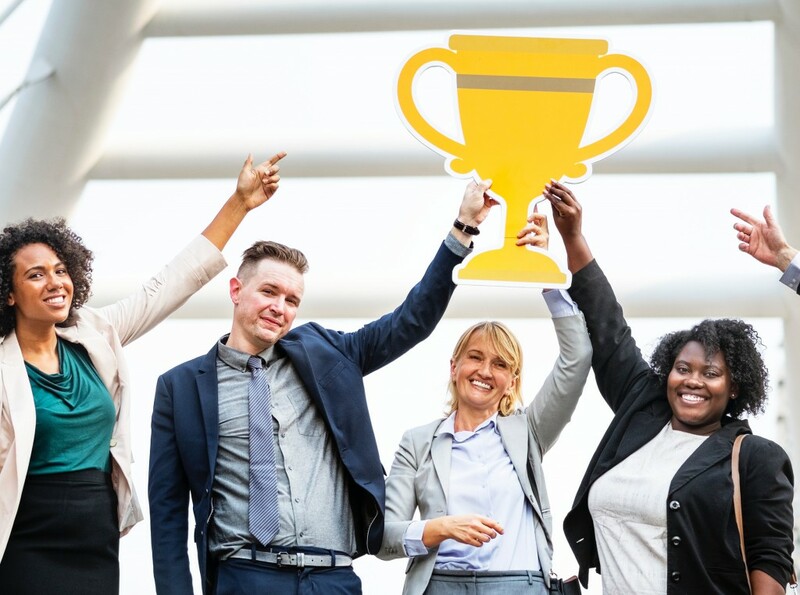 These days, there’s plenty of hype around the concept of gamification, and companies are increasingly using gamification in order to recognize and appreciate their employees. The way these systems work differs from company to company, but generally speaking, employees are awarded points which they may use to redeem rewards. Gamification is an interesting concept, and one that’s worth exploring, but be sure NOT to stack your employees on a leaderboard, and pit them against each other. Doing this essentially builds some employees up at the expense of others; you can bet that your employees who are scraping the bottom of the barrel will feel demoralized and unmotivated. Here’s the thing about showing gratitude: it works best when it’s timely and relevant. If you want to appreciate your employee for a job well done, do it immediately after they’ve completed their project or task. If you send out an email praising your team at the same time every week, it might feel as though you’re going through the motions for the sake of doing so, and that you’re not genuine in showing gratitude or appreciating your team. Enjoyed this article on showing gratitude to your employees? Read our previous article on doing the same for your customers!